There has always been a dog or two in Emma’s life. 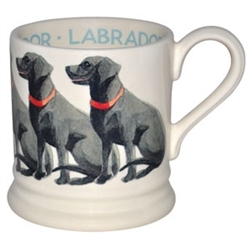 A his and hers labrador-lurcher combo was the mix for many years, and more recently, a sweet toy poodle who nestles very contentedly in the footwell of her car. Asiatic Pheasant 4 Cup Teapot Asiatic Pheasant 1 Pint Tankard Jug Asiatic Pheasant 11 inch Chinese Bowl Blue Calico Bowl 4.75in diameter, 12oz.